Valley Forge Chorus is seeking a Music Director! The person in this position will be responsible for developing and leading the musical and artistic performance of Valley Forge Chorus in a way that is consistent with our mission and core values. Please visit our Director Search page to review the job description and candidate qualifications. Interested in becoming our next director? Click here to apply online. 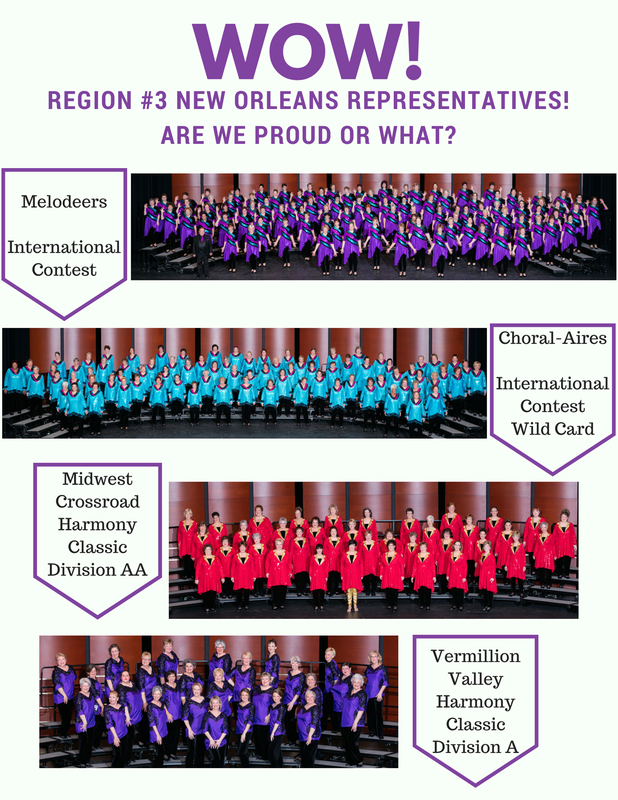 Read more about Region #3 New Orleans! chosen by chorus leadership, who rises above and beyond at the chorus level. Winners are chosen each year in January and announced at January Jamboree each year.